The health and beauty industry is an ever-changing, growing, and definite part of our everyday lives. Everyone uses health and beauty products, whether you take a shower, put on perfume or cologne, or take vitamins — and that’s just a small portion of what the industry has to offer. As vendors are getting ready to stock their booths with the latest spring merchandise, incorporating health and beauty products is a sure way to see sales growth this season. Consumers, particularly Millennials and Gen Z, are gearing most of their purchases towards organic, all-natural, and generally healthy products. They are constantly on the lookout for something better and are no longer sticking to brand-name products, according to an article by Forbes. Millennials especially are more interested in the story the brand is telling rather than the name on a product. 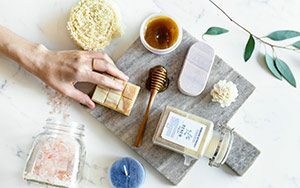 When sourcing health and beauty products, you’re going to want to keep it on the clean end, with labels marking the product such as ‘organic’ or ‘vegan.’ Some larger companies such as Johnson & Johnson are facing backlash for having harsh chemicals in their beauty products, and consumers are taking note. The fewer weird, unpronounceable ingredients that are in the products you sell, the better. 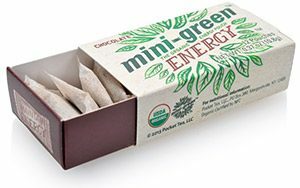 There is already a strong demand in the U.S. for products containing cannabidiol, or CBD, a natural chemical component of cannabis and hemp that’s non-psychotropic, meaning it doesn’t get you high, according to an article from Coast to Coast Natural’s website. This natural substance is used to aid in relaxation, pain relief, and as a natural anti-inflammatory. CBD products present tremendous opportunity for vendors and resellers because of the growing popularity. Even though CBD products can differ from company to company, check the products for labels containing the words ‘organic,’ ‘non-GMO,’ ‘100% natural,’ as these are the kinds of words consumers are looking for. Jamila is certain that CBD’s popularity will continue to increase through the years, so you don’t have to worry about it going out of style. The more consumers who try these products and see the results, the more they will want to buy. According to a new report from New Data Frontier, the CBD industry is expected to be worth $2 billion by 2022. In 2018, CBD products reached $367 million in sales. CBD oil first got introduced through vaping and e-liquids, and now this beneficial ingredient can be found in oils, creams, pills, and even food, such as gummies or other snacks. The CBD milligram measured dosage may be different for every product, but the benefits are still the same. You don’t have to look hard to see what CBD can do for your body, and consumers are spreading this hype through word of mouth like wildfire. For the past couple of years, aromatherapy has been sweeping the nation in the forms of essential oils, diffusers, incense, and various other aroma compounds. Aromatherapy provides not only another way to make an area smell nice rather than the traditional candle, but there are also many health benefits to using aromatherapy in everyday life, such as better concentration, stress relievers, and an increase in immunity, among others. According to research conducted by the team at Market Research Future, studies revealed a positive growth phase for the aromatherapy market with an expected reach of $4.3 billion by the end of 2023. Since most essential oil products contain all-natural ingredients extracted from plants, this market has been on the rise for health-conscious consumers. “This is a top category right now, and much stronger than it was a couple years ago,” Joel Patterson, owner of Planet Naturals, said. Patterson’s business offers Aroma Gems, which are crystals that can be placed either in burners or regular dishes and when essential oils are dripped onto them, they give off the beautiful smell of the oils without the mess of wax or fire hazards. Millennials and Gen Z consumers are more focused on their beloved pets than ever before, expanding the market to an estimated $72.13 billion in 2018, according to the American Pet Products Association. While baby boomers account for 32% of pets owned, households headed by the younger generations account for 62% of pet ownership. 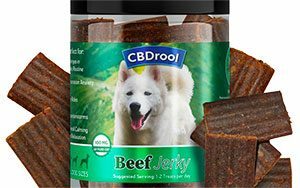 On top of CBD products, consumers are also looking to buy only the best all-natural food, treats, and other pet products such as shampoo and bedding for their “fur babies.” Customers are always going to buy treats, food, and other accessories, but adding CBD pet products to your inventory can really help spark growth. Animals have symptoms of anxiety and pain just like humans do, and once customers find out that your product actually works, they’ll be coming back for more. Crystals and new age products are not only used as glittering eye candy, but there are also some healing powers associated with the stones. Celebrities such as Kim Kardashian, Katy Perry, and Miranda Kerr use crystals as a form of healing, and the rest of the population is catching on to this new fad. New Age Imports, Inc. offers a wide variety of great products to help get you started if you aren’t too familiar with metaphysically focused merchandise. From incense burners to jewelry to soothing chimes, New Age Imports has a great selection for you to browse. Consider trying these types of products in your booth, offering new designs and smells to have your customers coming back for more after their first purchase. 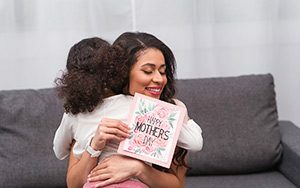 An added bonus to New Age products: healing crystals and other mind/body/soul products such as sage and incense are especially popular among Millennials and Gen Z because of their all-natural healing powers. More and more young consumers are looking for new ways to help with anxiety and other problems outside of traditional pharmaceutical medicine. Once they find these products at your booth, they’ll be back for more.